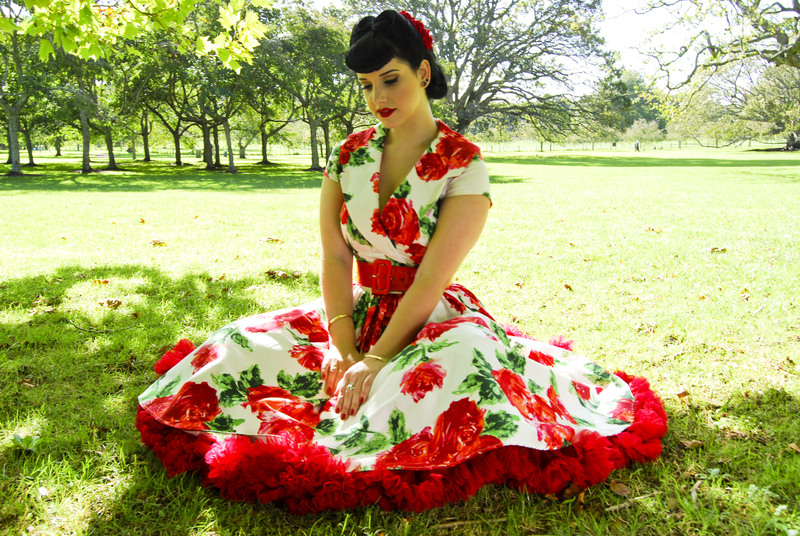 The Pinup Girl Clothing Harley Dress is one of those dresses I admired but was always scared of how it might look on me! The issue with having to wear a strapless bra always put me off as high necklines and less than perky bosoms is not a ideal mix. I decided to take the plunge recently when I needed a Snow White Costume! I figured it would be perfect for it plus I’d have a pretty new dress for summer! I got the Harley from Rita Sue Clothing and went with my usual PUG size- a size small- and I would definitely say that it fits true to the size chart. 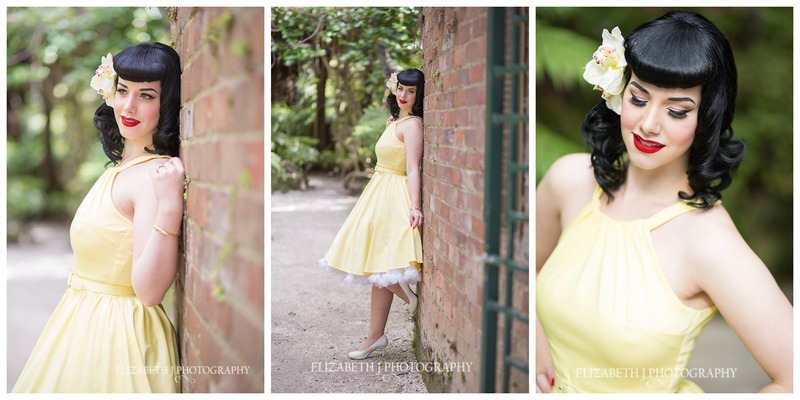 Liz of Elizabeth J Photography and I teamed up again on Monday afternoon to capture the ever-so lovely Harley. 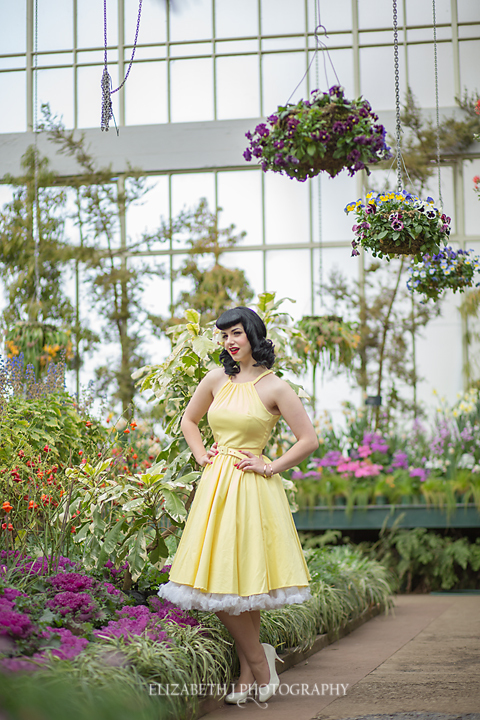 The Auckland Domain Wintergardens were the perfect springtime location and the pastel yellow really stood out amongst all the lush greenery. Made of high quality cotton sateen, the bodice is lined with a stretch charmeurse and comes with a matching belt. The gathering at the top of the bodice is sewn in place to the strap meaning that it sits perfectly and doesn’t move around. 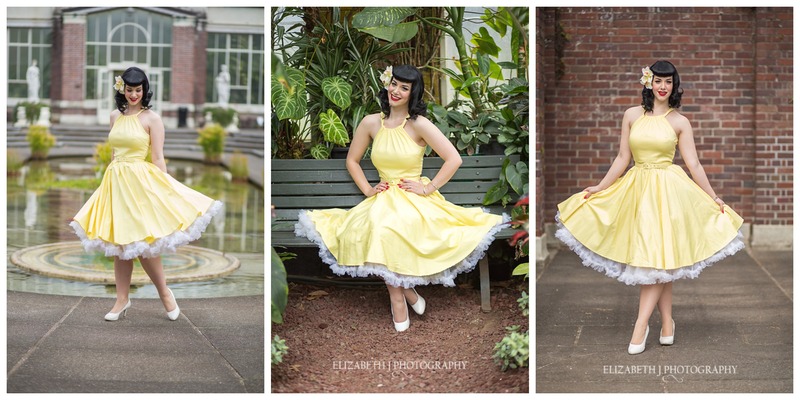 The Harley retails for US$130 on the Pinup Girl Clothing website, comes in size XS-4XL and a range of other colours and patterns! I love the peach and the blue is currently available at Rita Sue Clothing for NZ$180. The length for me is perfect and starts at 24″ long for a XS and goes up to 26.5″ for a XXL- There were no length measurement that I could see for sizes 3XL and 4XL. 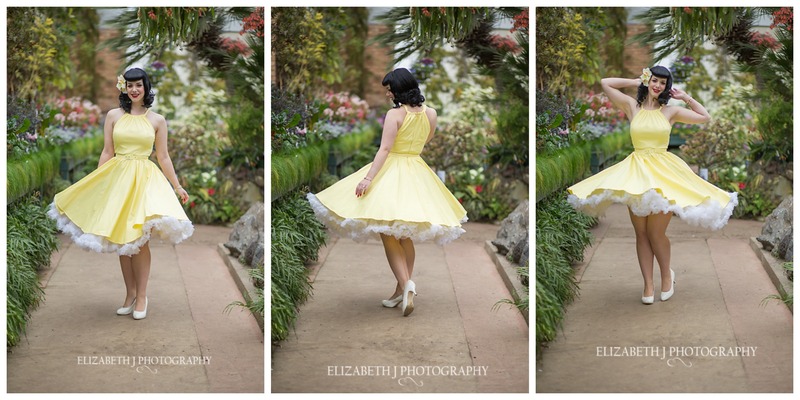 I really love the full skirt- it’s so perfect for twirling in! I paired the Harley with a white chiffon Hell Bunny petticoat also from Rita Sue Clothing, white shoes and a matching hair orchid. It feel lovely and fresh and summery! I think I’d like to try some other colour combinations like wearing a purple petticoat underneath. 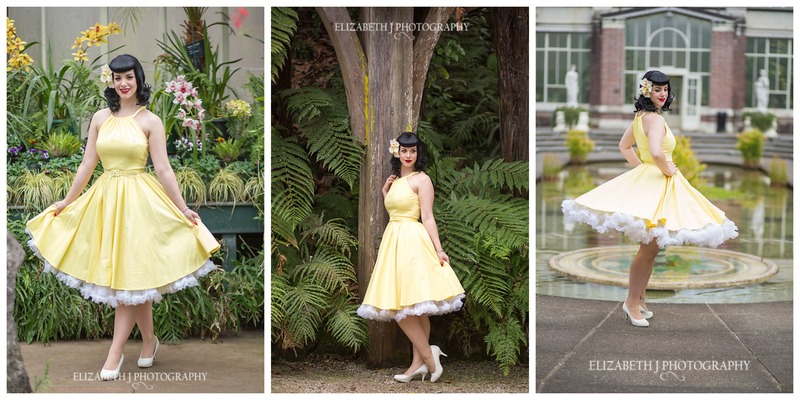 Rita Sue also stocks a range of petticoat colours from Hell Bunny- the pastel yellow would also look lovely underneath for a subtle look. Better yet, double up for extra poofiness! 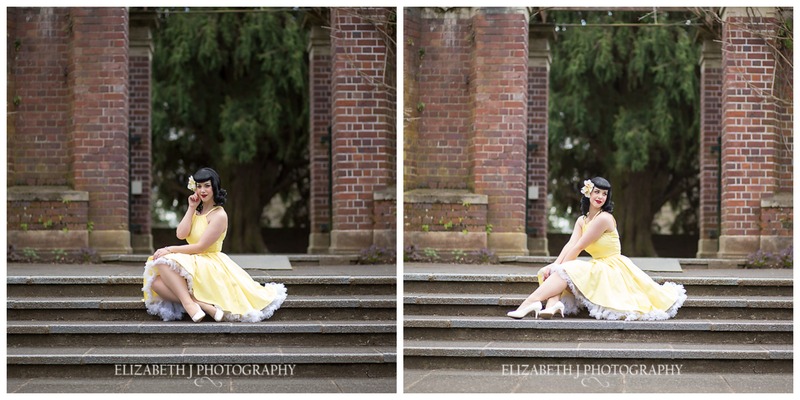 Thank you to the always amazing Liz of Elizabeth J Photography for taking such fabulous photos and being such a pleasure to work with! For a dress that I ummed and ahhhed over for months, I have completely fallen in love! Un. Be. Lieve. Uh. Bull. You look like a calendar model in real life. That dress is unfathomably beautiful on you, i hope you dont mind but i am borrowing this outfit template for a summer pinup article i am writing? Cyuuute shoes too! So gorgeous! 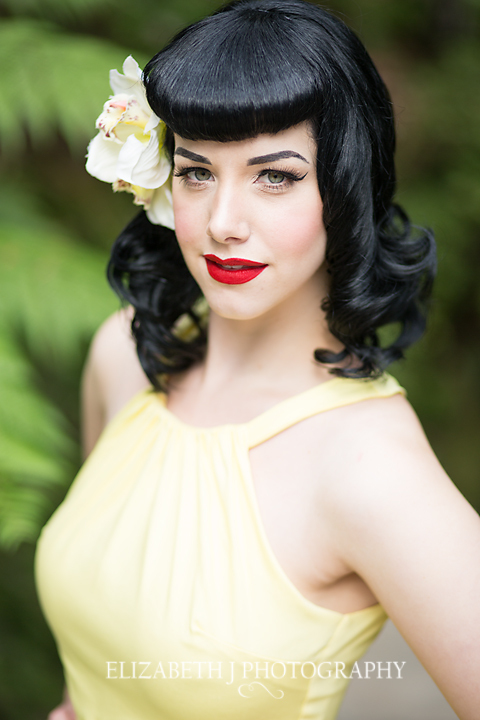 And I would love to see a photo of you as Snow White – pretty please?! you look fantastic! did you just tuck the bra straps in? oh really?! good to know! I followed the link and i didnt see anything which said they were detachable. Im going to go have another look. Thanks! Thank you Miss! Every time I come check out a new post I am floored every time. You’ve been a real inspiration for me! 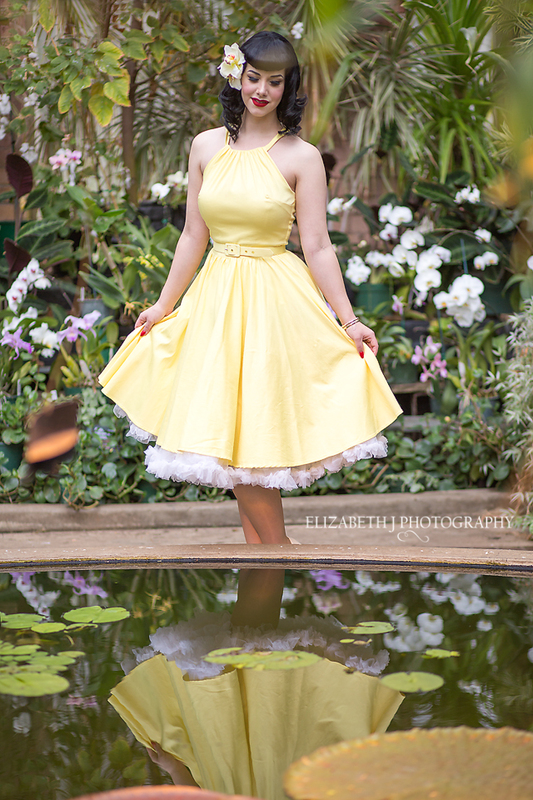 I recently got myself the Birdie dress from Pinup Couture thanks to you! As always you make everything you wear exceptional!